It is hard to imagine the importance of a sleepy little Island off the East coast of St Johns Newfoundland in Canada, but dig a little deeper and the sheer scale of important history behind Bell Island is impressive to say the least. Beneath the surface of this small island lays a network of now mostly submerged man made tunnels created in the quest for Iron ore ….and did that quest ever produce results! Bell island hosts the surface entrances to one of the largest Iron ore mines in history, to date! A labyrinth os passage ways leading ever deeper out beyond the shores of the island and out under the freezing North Atlantic. The mine grew at its peak to meet the demands of the Allied nations in the second world war for iron to produce, ships, weapons and transportation and as such it self became a target of the Axis forces. 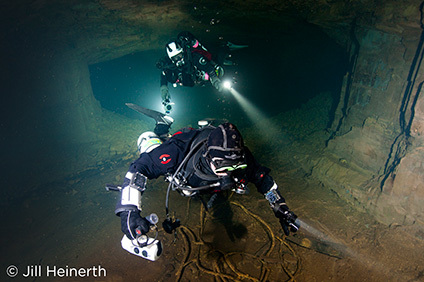 A team of divers including Phil visited the mine in 2007 and a larger team completed an Explorers Club Flag expedition to the mine earlier this year. 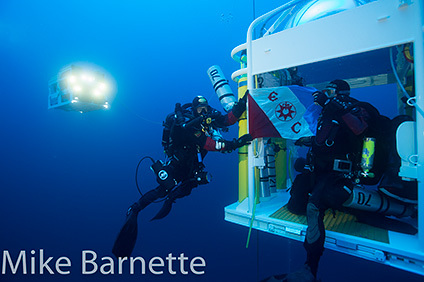 The project was honoured with the title of RCGS expedition of the year. Phil will tell the story of Bell Island, the mine and the incredible shipwrecks carrying iron ore from the mine sunk by torpedo attack. 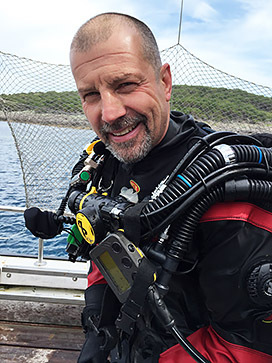 After 25 years in the dive industry logging over 8000 dives including over 3000 hours on CCR, Phil now works predominantly in the scientific diving community as a CCR project manager, trainer and consultant. 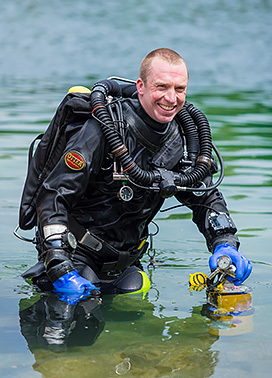 Phil has worked on projects with the Woods Hole Oceanographic Institute, the US National Parks Service, Chinese National Museum and the UK Police dive teams. A passionate cave explorer, Phil acted as lead diver on Bill Stone's J2 project in Mexico which saw him spend 45 days underground. Phil is a BOA member, UK Training Director of IANTD and an active ITT. 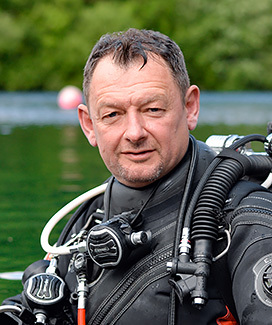 Phil has trained the UK HSE and BBC divers and worked on film projects such as 'The Road to Certain Death'. 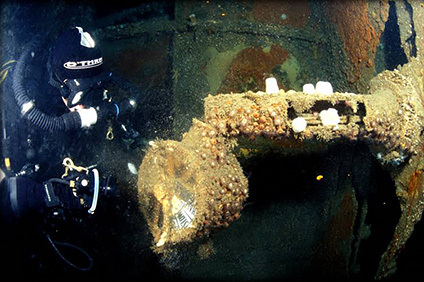 A look behind the scenes of traditional wreck diving around the British Isles. 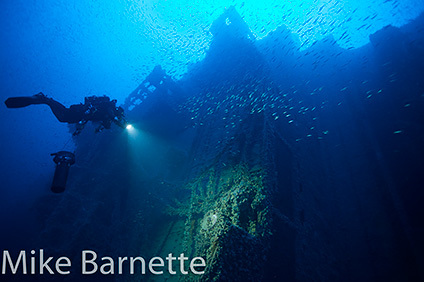 Deep wreck diver Leigh Bishop is well known for deep shipwreck expedition diving, documenting wrecks such as the Britannic, Lusitania, Wilhelm Gustloff and the Gold Liner Egypt. 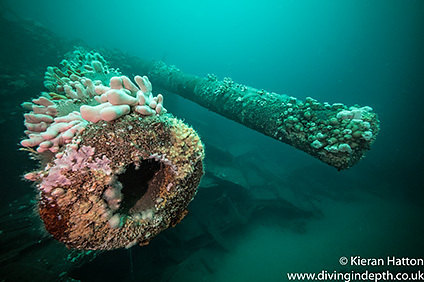 Behind the big expeditions he devotes his time to photographing and filming some of the thousands of wrecks sunk around the British Isles, over the years he has explored no less than 400 virgin wrecks many of them in the English Channel. 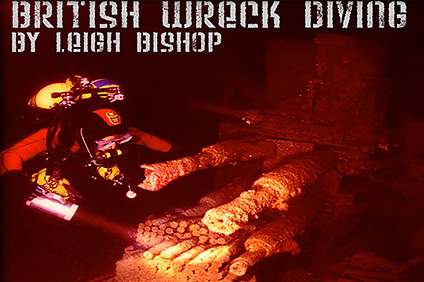 This presentation promises to delve deep into the world of the British wreck diving scene, an opportunity to taste what it's like searching for and diving virgin shipwrecks as well how Leigh and his team go about it. This presentation is about extended range technical diving that many divers can become involved in, with of course a little humour added for good measure. See images of shipwrecks such as a fantastic colonial wreck from 1869 and some of the artifacts recovered from her which include her fabulous TWO bells! Go behind the scenes with the discovery of the famous Flying Enterprise and other significant UK discovery's from recent years. Images will be shown of many channel wrecks most of them deep, as well as fascinating monochrome photographs of shipwrecks in the North Atlantic off Ireland. This show will be of interest to all levels of wreck diver from beginner to the most advanced; a show displaying tried and tested techniques, methods, configurations, team approach, research and identification. 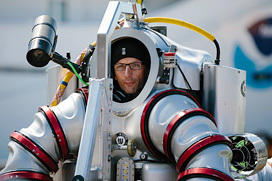 Rich in stills photography surely a presentation that has been missing from scuba diving audiences, that is, until now. Edoardo aims to illustrate the results of these five expeditions - he'll highlight successes accomplished, discoveries made and - on a more personel level - the enormous loss of a 'Brother from another mother' during one such expedition. 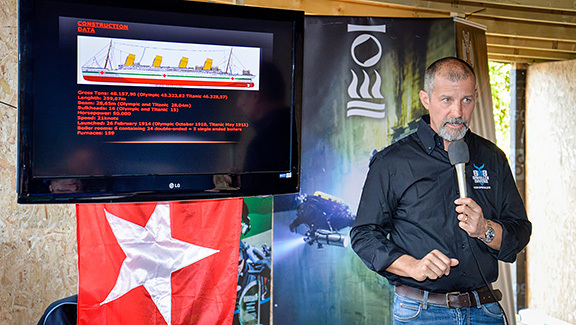 Edoardo will give you a first-hand insight into the expeditions that have conducted exploration and research to find evidence of the rapid sinking, despite the safety features introduced to avoid the tragic Titanic destiny, one of the two sister ships. You'll discover how a wreck can deeply become part of us, and how the past stories well known of the ship, mix up with the life of people at current days. A full trip around the incredible story of this magnificent piece of human engineering from the launch to the cruises and work accomplished, with a full description and reconstruction of her sinking. We're hoping that Edoardo will present new footage and images from his most recent visit to this iconic wreck literally weeks before TEKCamp 2016. Be one of the very first to view these never-before-seen images! At the height of the First World War between the 31st May and 1st June 1916, two fleets met off the Jutland Bank in the North Sea. Never before (or since) had the world seen the mighty Dreadnoughts meet in what the German Navy referred to as 'Der Tag', the day! Churchill said this of the British Commander Admiral Jellicoe 'he was the only man who could loose the war in an afternoon'. At Jutland, the Germans, with a 99-strong fleet, sank 115,000 long tons (117,000 tonnes) of British ships, while a 151-strong British fleet sank 62,000 long tons (63,000 tonnes) of German ships. The British lost 6,094 seamen; the Germans 2,551. Both sides claimed victory and the actual outcome of the battle is debated to this very day. What we do know is that the German fleet never challenged the might of the Royal Navy for the rest of the war. With 2016 marking the 100th Anniversary of this defining moment in World War One, a team of UK divers set out to visit the wrecks. The wrecks of the Battle of Jutland sit in one of the most unpredictable and inaccessible areas of sea one could ever consider diving. As a result, they are dived infrequently. As with many expeditions, the harder it is to organise and the less the likelihood of success, the greater the reward when you succeed. Dropping down the shotline to see the guns of HMS Invincible's X turret emerge one remembers why we do this! 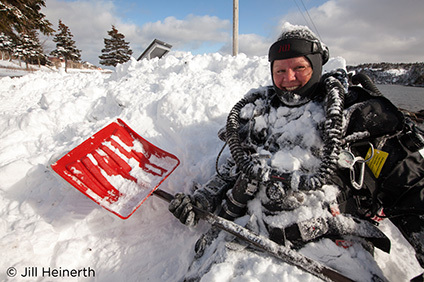 Kieran Hatton has been diving since 1996 when he was just 14 years old. At 16, prior to visiting Scapa Flow for the first time, he took his first Tec Course and from then he has never looked back. To Kieran, diving is a passion and training is the necessary tool to access good, enjoyable, safe diving - at whatever depth and whatever equipment configuration is needed for the chosen dive. Currently based in Plymouth, Kieran teaches both open circuit and rebreather nitrox/trimix. Kieran is well regarded amongst the diving industry for his knowledge, for his practicality and for his passion for thorough course training with each and every student from the start. 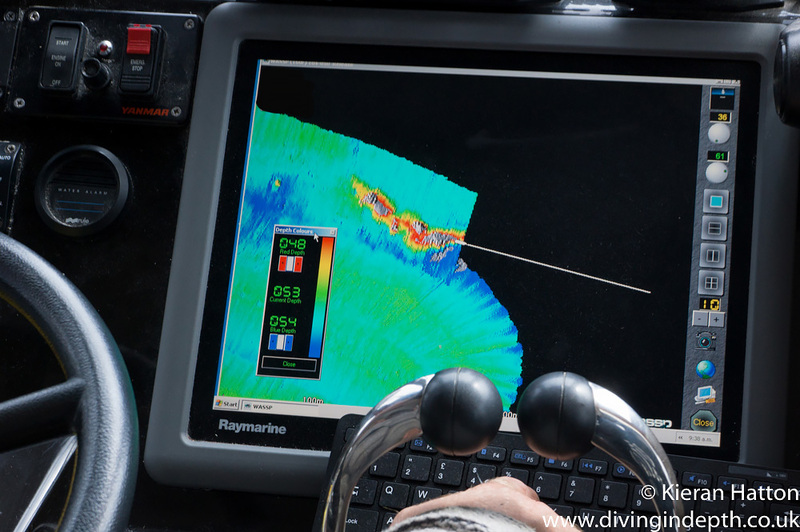 Kieran listens to his many divers - what they need and where they want to dive. From arranging trips solely to Scapa, Kieran always has a fabulous itinerary of trips planned for his customers - Norway, Fraserburgh, Jutland, Truk, Plymouth and Scapa of course! Kieran's only problem is how to beat that each year - The Great Lakes or Mexico anyone? Celebrate success and win some great prizes! 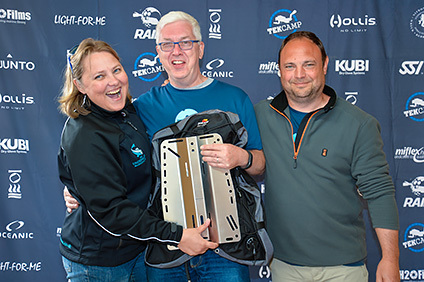 Naturally the TEKCamp team will be in attendance, giving you the perfect opportunity to rub shoulders and chat with some of the biggest names in diving. Got a burning question that you're itching to put to our diving gurus, want to chat about further training or perhaps you simply want to know which one of them has the most tattoos? This is your chance to put them on the spot in a less formal setting without the pressures of a tight schedule to contend with. We don't plan to send you home empty-handed, though - some of you will be going home with some seriously cool diving prizes! Every year at TEKCamp, we give TEKCamp attendees the opportunity to win some seriously cool prizes - every attendee to TEKCamp automatically gets entered into the prize draw so all you have to do to be in with a chance of winning is to make sure you're there. It really is that simple! Want to see what lucky TEKCamp attendees snapped up these gorgeous prizes? You can see their happy smiling faces over at the TEKCamp 2016 gallery page.